Everything you need to know about the vessels that fought for naval supremacy between 1914 and 1918. For the Allies the most important use of battleships was to support the amphibious invasion of Gallipoli in 1915. The First World War showed just how vulnerable modern battleships were to cheaper forms of weaponry. 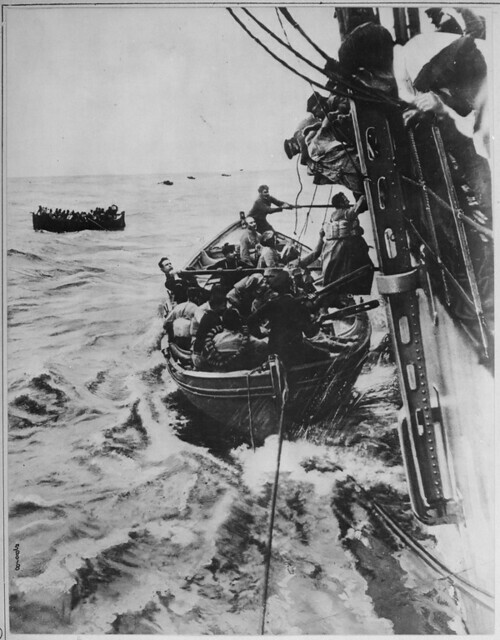 In 1914 SM U-9 (a German U-boat) sank 3 British armoured cruisers in less than an hour. There was no real decisive clash between battle fleets in World War 1. The struggle for supremacy between German U-boats and British merchant ships was much more significant. As Britain is an island isolated from mainland Europe they were particularly depended on resources transported over the sea. German U-Boats were extremely effective against merchant ships, hindering the allies supply line. Food and other essential items became short in supply. 50% all British merchant shipping was sunk by the German U-boat campaign over the course of the war. Grouping together a large number merchant vessels into a defensive convoy for better protection. Advances in early sonar technology. Increased use of aircraft to find and track German U-boats. The extra naval presence brought by the entry on the United States into the war in April 1917.